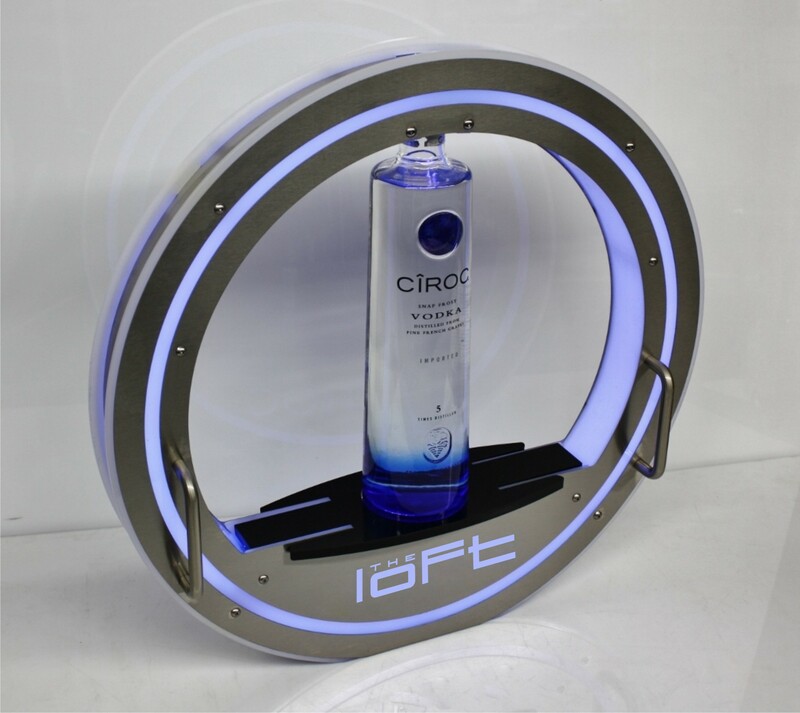 Check out our brand new LED VIP Bottle Presenter Tray"GLOBE" model. Our LED VIP Bottle Presenter Tray "Lunar" is made of polished steel, heavy Duty Acrylic, and high powered LEDs of your color choice. Completely customizable with your Text,Name,Art, or Logo, This tray will surely make an impact at all of your Special Events and parties, and take your bottle Service Delivery Presentation and show to the next level.